Thank you to everyone that helped to raise £350 for ‘Give a child a hope’ charity. The money raised will help to support in some way the ‘champions’ at the revival centre in Matugga. All had a lovely evening of dancing and enjoying watching some wonderful performances and gorgeous costumes. 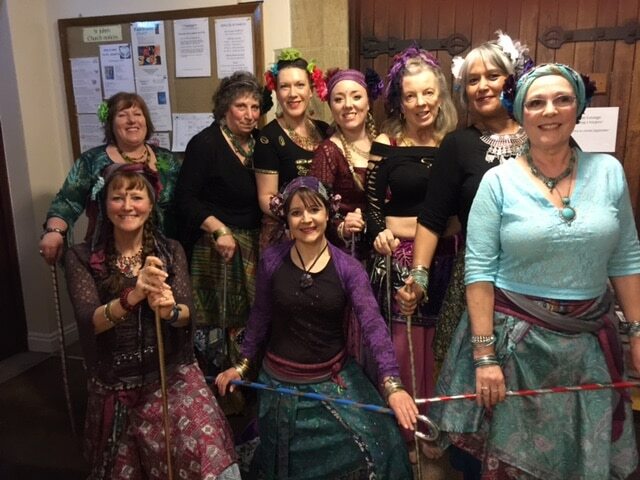 Left is Raks Zina tribal dance troupe, who will be dancing at the Ben Rhydding fete, June 17th. 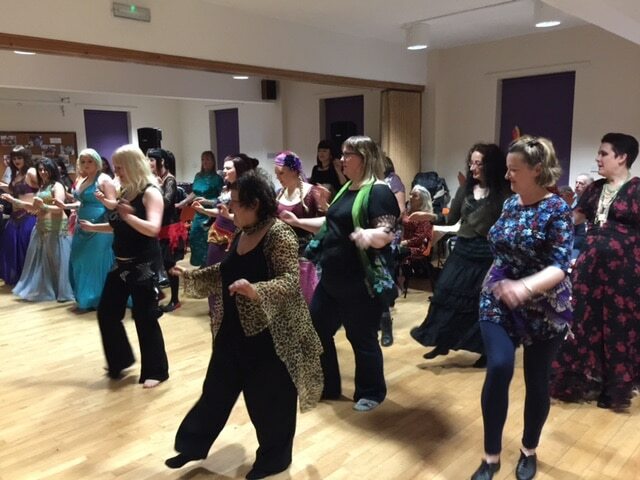 A joining in dance, everyone has a chance to get up and have a go! Welcome to the new website for the Revival Centre – Matugga charity, Give A Child A Hope. The website has been refreshed and re-homed. This is where you can come to get all your updates on what is going on at the Revival Centre and the ongoing projects there. There will also be news of visits to and from Matugga. If you would like to be kept up to date on what is happening in Matugga you can subscribe to our mailing list to receive our regular newsletters via email. You will also be notified by email when there are updates on this website. There will be several updates in the coming months as we draw your attention to new features that you might not have seen yet. We also have a Facebook page which we will also use to keep you up to date with what is happening. Finally, we would be very grateful if you could use the buttons below to share this post and website on the various social media platforms that you use.